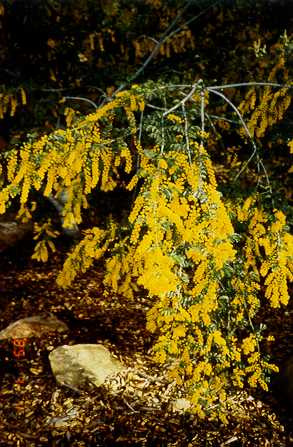 Ornamental weeping small tree to 12' with silvery-white trunk and bright yellow ball flowers in late winter. 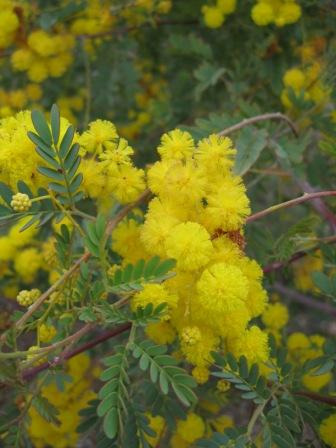 Tolerant of most soil types both coastal and inland but chlorotic in very alkaline soils & sensitive to fertilizer. Tolerant of extended dry periods and very frost hardy. Intolerant of poor drainage. Prefers a sunny location. Leaves are suitable for dyeing. 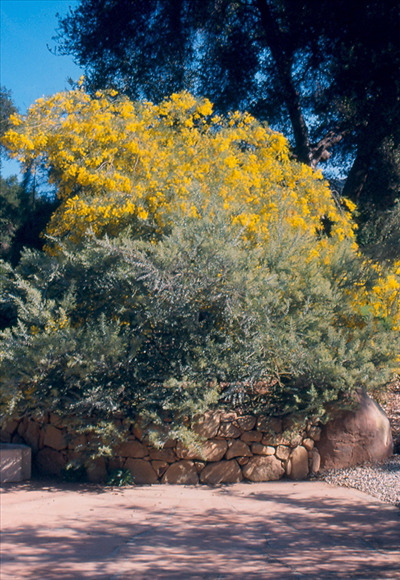 Beautiful tree for smaller gardens.